c.1880 William Anderson; opened February 1881. 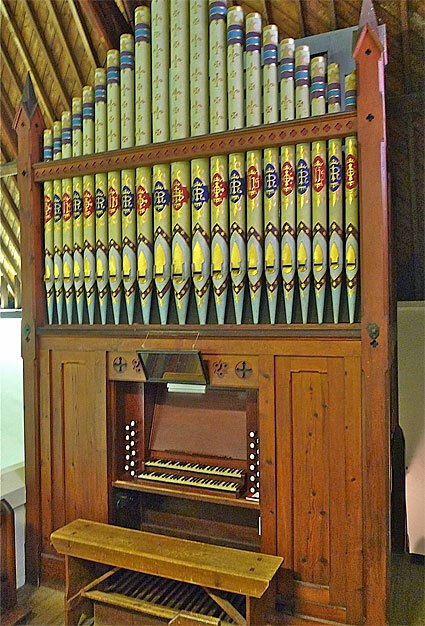 Ren 2007 Laurie Pipe Organs. 2m., 17 sp.st., 3c., tr. Gt: 8.8 divided.8.8.4.4.2-2/3.2.8. Sw: 16.8.8.4.2.8.8. Ped: 16. 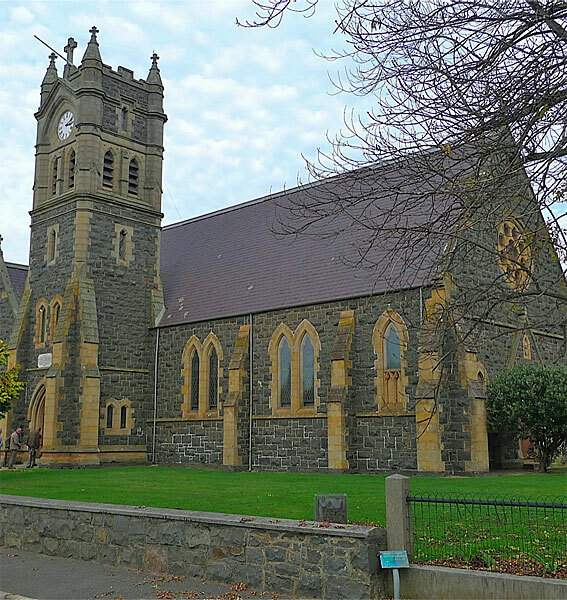 This large cruciform bluestone church in the Decorated Gothic style was begun in 1869 and the building consecrated in 1874. 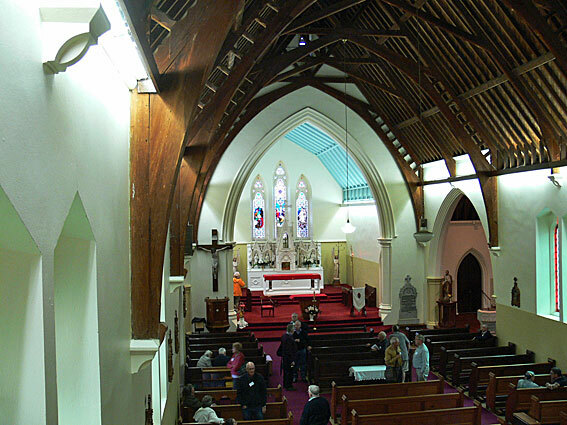 It was designed by Henry Hunter, Tasmania's most prolific Victorian architect. 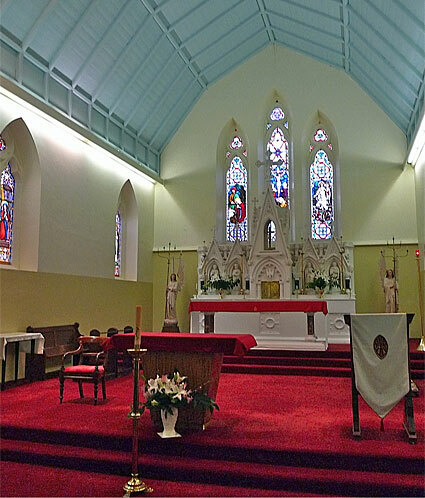 The tower was added early this century.1 The marble high altar and reredos were designed by Alexander North. 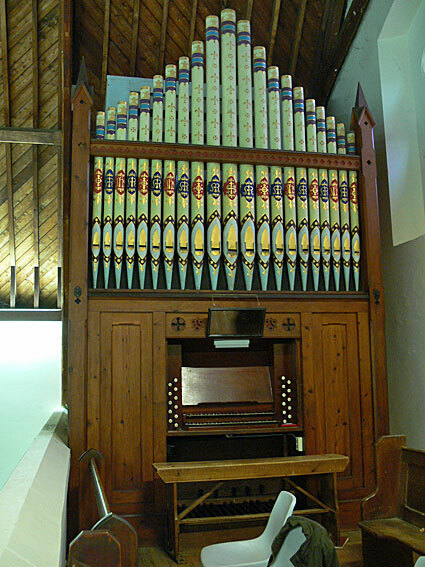 It is one of the few surviving original works of its maker, retaining its pipework, action, console and ornately diapered façade pipes, their decoration based upon designs from Pugin's The Glossary of Ecclesiastical Ornament and Costume of 1844.4 It is comparable with the 1888 William Anderson organ at the Uniting (formerly Methodist) Church, Daylesford, Victoria which also survives in a state of high originality. 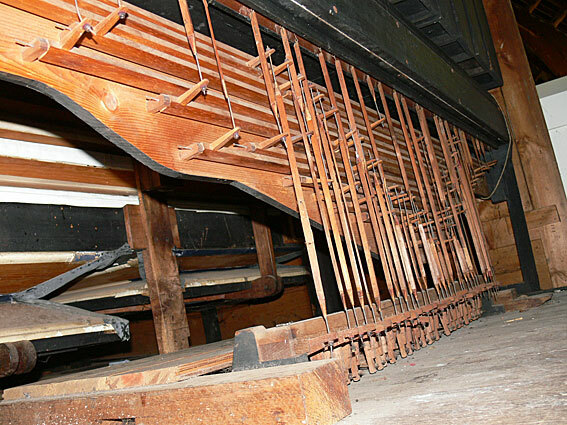 Renovation work was carried out by Richard Duncan, of Laurie Pipe Organs Pty Ltd, in 2007 at which time repairs were made to the pipework and action.5 While in need of a comprehensive restoration, the instrument produces a very bright and coherent sound, with a particularly pleasing Great chorus and a very fiery Swell Cornopean. 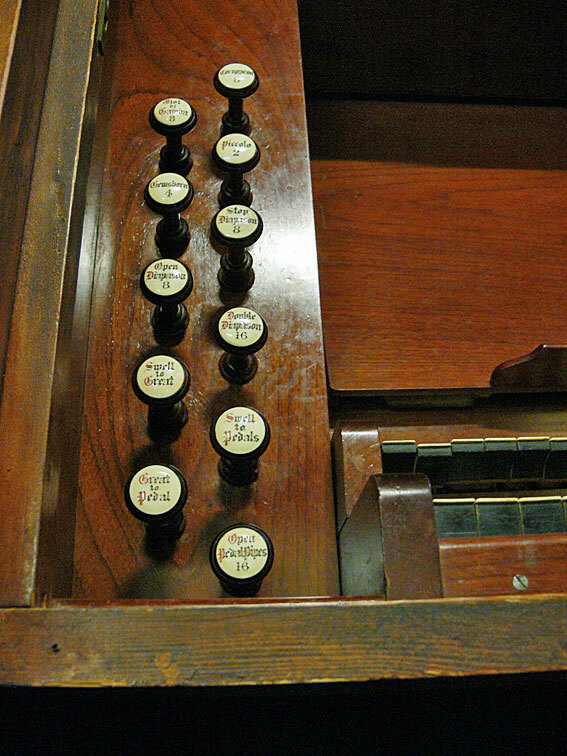 It appears that the drawknobs for the Viol di Gamba and Hautboy have been interchanged. 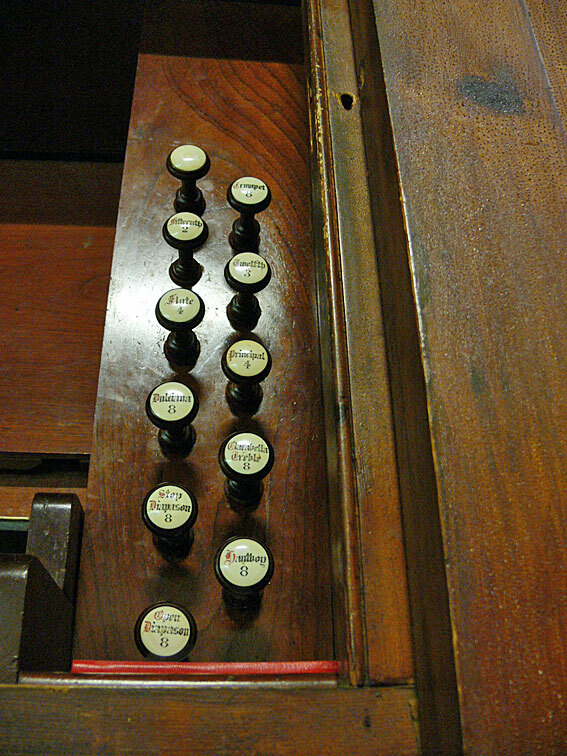 The Viol di Gamba is now placed on the Swell Hautboy slide, but the slide on the Great labelled Hautboy is vacant. 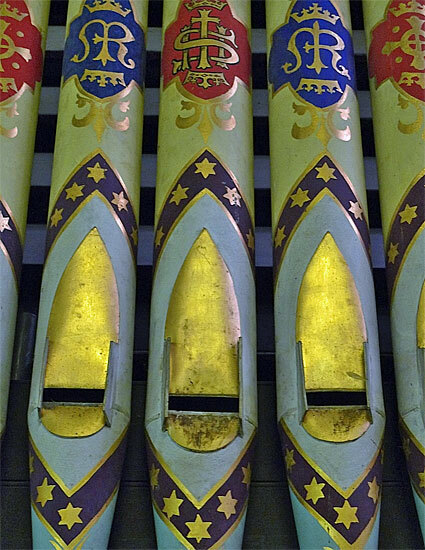 There is an additional blank knob on the Great jamb placed above the Trumpet, but its purpose is unclear. There are no pipes present for the Great Trumpet, Swell Double Diapason and Hautboy. 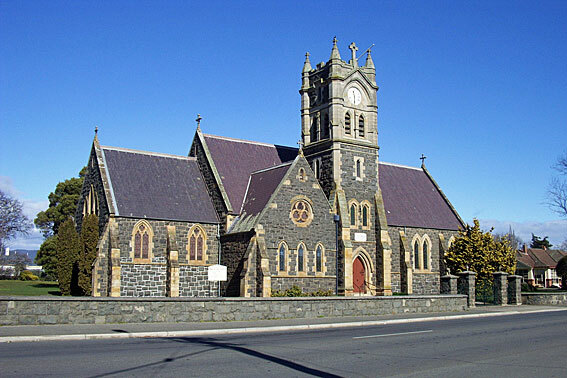 1 Priceless Heritage: Historic Buildings of Tasmania (Hobart: Platypus Publications, 1964), pp.120, 131. 4 Information kindly supplied by Brian Andrews. These patterns were later extensively employed by Anderson for organs sited in Catholic churches with their cartouches enclosing the monograms IHS, MR and sometimes the saint's initials, such as SJ (= St James).